VR Zone published photos and details of ASRock's Gen3 motherboards, you can check it out over here. i<>Neither board holds any real secrets beyond the specs that were posted last week, but this is the first high-resolution, detailed picture of the Z68 Extreme3. A couple of things with missed with regards to the rear I/O of the Z68 Extrem3 includes a PS/2 port and optical S/PDIF out. The board also sports a POST80 debug LED which is an unusual feature for a board this far down in the pecking order. 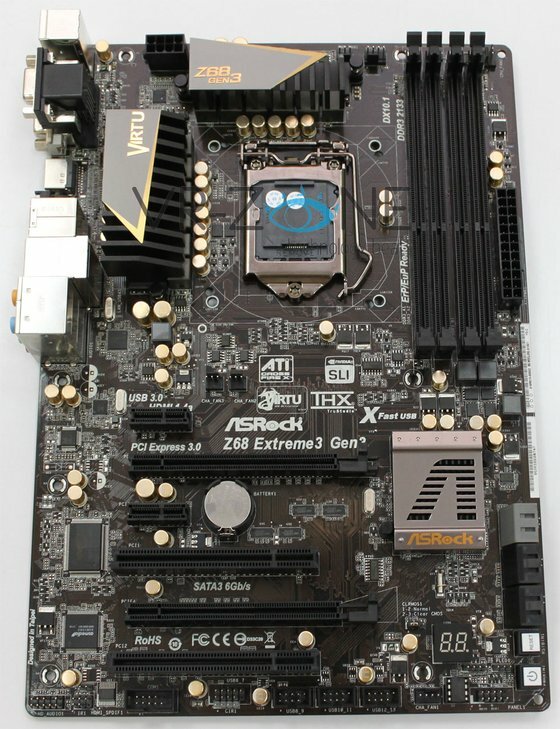 The Z68 Extreme3 is in our opinion looking like the Z68 board to get from ASRock if you're looking for something that won't be horrendously expensive, yet offering a well-balanced feature set..